Free-agent running back Le'Veon Bell is looking for a home in 2019 and beyond. With the Pittsburgh Steelers likely out of the mix, there will be plenty of teams clamoring for the services of this jack-of-all-trades back. But there's one team above all that could really benefit from Bell's services. The New York Jets need upgrades in just about every area on offense heading into this season (even rookie QB Sam Darnold needs to take steps forward), and the running back position is high atop the list. In fact, running backs Elijah McGuire (20.8%) and Trenton Cannon (19.0%) were 1-2 on the list of highest drop rates at the position – an area that Bell has mastered over his five-year playing career. Bell has posted at least 75 catches in three of his last four seasons, including at least 80 twice over that span. Perhaps the best trait of Bell's is one that doesn't get as much recognition – his pass blocking. The Jets have second-year quarterback Sam Darnold under center and Bell would essentially serve as an extra blocker on some passing down. That would be a huge help to any quarterback, but for a young guy who struggled at times last season, it can make a world of difference. 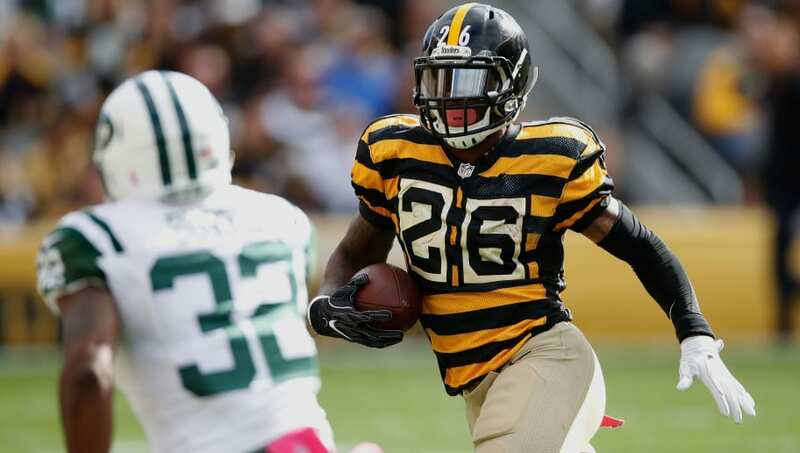 What happens if the Jets don’t sign Le’Veon Bell? The Jets will be in heavy competition for Bell with other teams, as the Indianapolis Colts will likely come the hardest with their NFL-high salary cap availability. But if New York saw these stats from their running backs last season, and I'm sure they did, they'll make every effort to sign Bell.